Late Season AC Repairs | Fresh Air, L.P.
We get it. 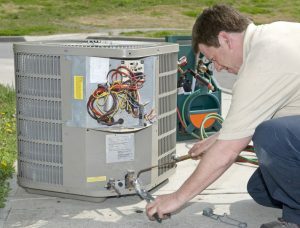 We’re slowly but surely nearing the end of summer, so if you need a seemingly minor air conditioning repair in Katy, TX now, can’t it just wait? Well, contrary to what you might believe, it’s never too late in the summer to get your air conditioner repaired. In fact, it’s quite the opposite—if you wait too long you could find yourself with a completely broken down system next spring when you need it again. Besides, the end of summer is actually a great time to have a professional HVAC technician inspect your system and make any tune-ups necessary to ensure it’s in good shape. Sure, we typically recommend this service prior to summer, but let’s face it—it’s almost always summer in Texas! Simply put, if you need a repair, it’s best to take care of it ASAP.